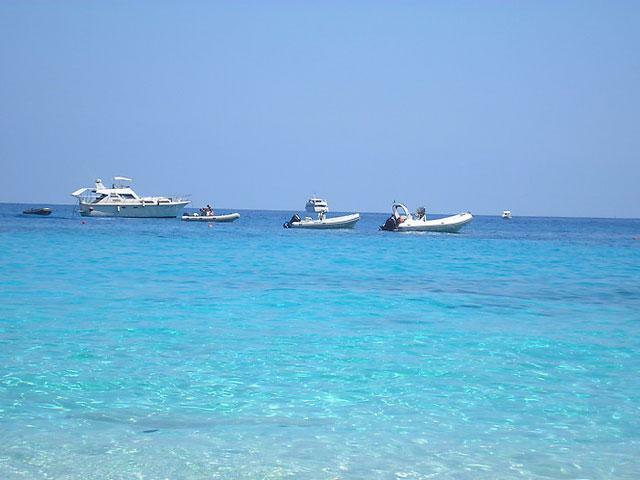 A holiday in Olbia, Alghero or Bitti? This 8-day itinerary enables you to explore not one but all three cities. Discover some of north Sardinia’s most unique features, such as its hospitality, beaches and mountains, in a week’s time! Our tour will lead you through north Sardinia via three charming accommodations with pool and includes seven nights’ bed and breakfast. This tour is intended to provide an illustrative example of a possible itinerary. The round trip can be customized on request, taking into account your flight details and travel period. A tip for travellers who wish to spend more time on the island: combine this tour with our round trip through the southern part of the island and experience the very best of Sardinia with these recommended itineraries! 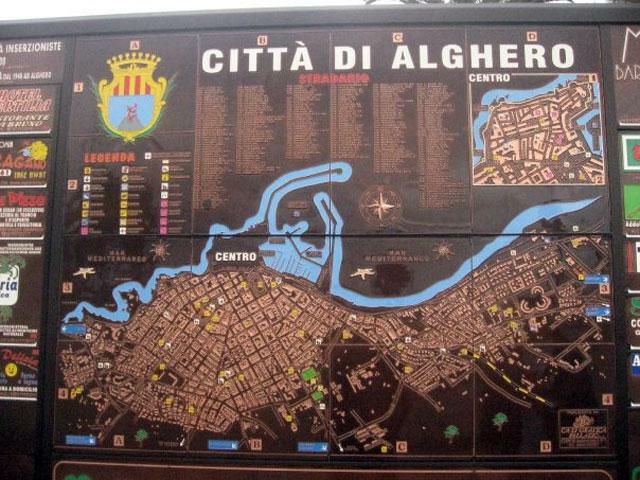 • Alghero – Bitti: 138 km. • Bitti - San Pantaleo: 116 km. • San Pantaleo – Alghero: 154 km. This year round available 8-day tour through north Sardinia is perfectly suited for travellers wanting to discover various Sardinian highlights in a short amount of time by (rental) car. Perfect holiday. Good trip, good tips. I'm in love with that island! Beautiful country, great food and lots to see. Fantastic Island, beautiful nature, the coasts, the flowers in the mountains, nice and quiet in this period. Everything perfectly arranged! A beautiful island with beautiful nature and friendly people. A tour is the perfect way to explore the island. Very beautiful. Definitely worth repeating. The first 2 nights of this beautiful 8-day roundtrip you will spend in Alghero, where the host of Villa Barbarina is ready to welcome you with open arms to the elegant country house. This accommodation with swimming pool is just 8 kilometres from the city centre of Alghero, a lively town also known as “Barceloneta” (little Barcelona), where the Catalan dialect is still widely spoken. The Sardinian province of Sassari contains various beautiful beaches, such as Maria Pia, Le Bombarde and Spiaggia del Lazzaretto. 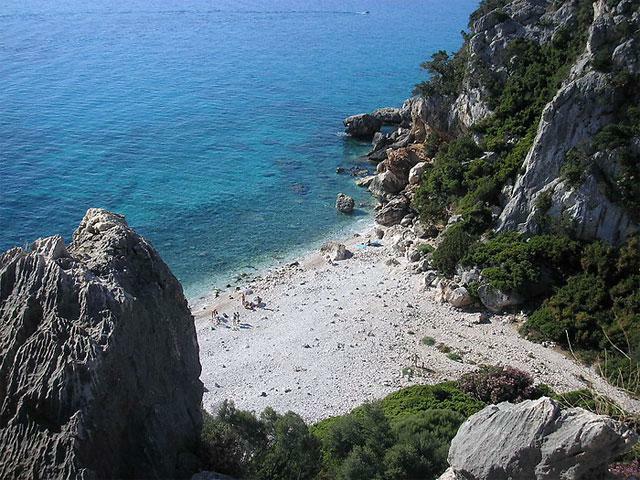 We recommend exploring the hiking trails in the natural reserve of Porto Conte as well. 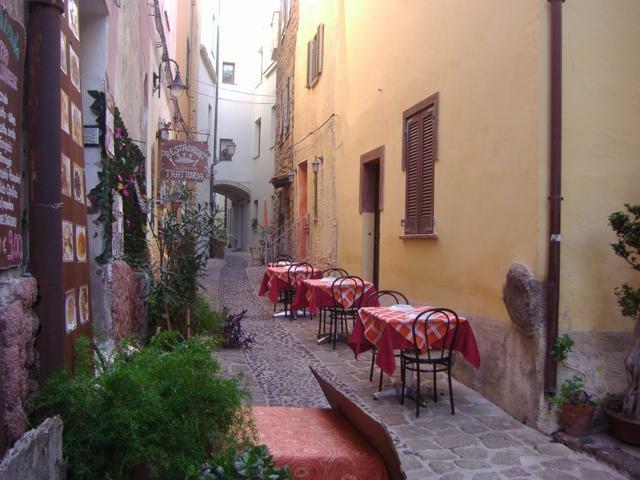 The old town of Alghero consists of a maze of narrow cobbled alleys. The palazzos, city walls and defence towers are built in a Spanish style. In the city centre you can enjoy a stroll along the various piazzas or relax on the shaded terraces cooled by a fresh sea breeze. Since Alghero is located on the “Riviera del Corallo”, the Coral Coast, most boutiques have various coral ornaments for sale. At night, as the sun sets behind cape Capo Caccia, the city is bathed in a beautiful orange light. At this time of night we recommend taking a walk along the boulevard and the harbour to one of Alghero’s restaurants to enjoy the delicious seafood dishes. Don’t forget to try the local specialty, "Aragosta alla Catalana" (lobster)! One of Sardinia’s highlights near Alghero is Neptune’s Grotto (“Grotte di Nettuno”), a stalactite cave on the tip of the peninsula of Capo Caccia whose entrance lies only around a metre above the sea level. 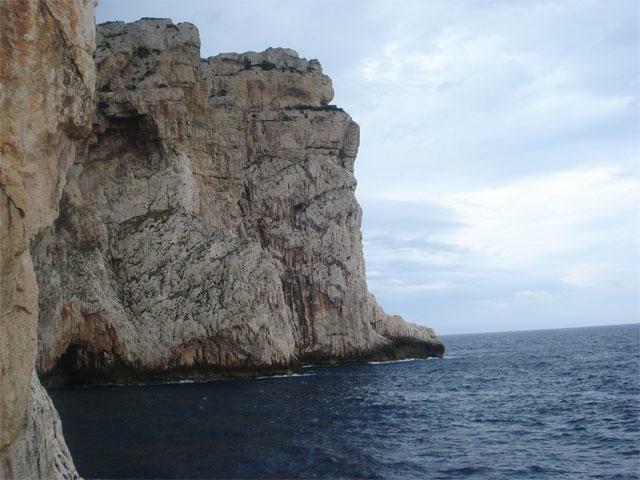 The 204-metre-high cliffs and caves are therefore accessible via a boat trip of approximately 45 minutes from the port of Alghero. Alternatively, after a scenic route by car, you can descend the 654-step stairway cut into the cliff called “escala del cabirol” (goat’s steps) to visit the grotto. Another symbol of Sardinia are the nuraghe, ancient megalithic edifices developed by the Nuragic civilisation which inhabited the island from about 1500 BC onwards. Their villages were built around round tower-fortresses which date back to the Bronze Age. The sturdy structures, consisting only of layers of basalt blocks, stand only by virtue of the weight of their stones. We recommend visiting the Nuraghe di Palmavera near Alghero, founded around the 14th century BC and renovated in 1963. Furthermore, Stintino’s beautiful beaches, the Asinara National Park and the historic villages of Bosa and Castelsardo are all within easy reach of Alghero. If you’d like to explore Alghero’s versatile coastline by boat, we recommend booking our sailing excursion with the Andrea Jensen! After breakfast you leave for Bitti, a mountain village in central Sardinia. In this mountainous area you can enjoy spectacular hikes. You’ll be staying in Su Lithu, an intimate hotel situated in a beautifully rugged landscape, where you can book an excellent dinner on request. A stay in this pristine province immediately shows why Sardinia is one of five “blue zones”, a demographic and/or geographic area with the highest longevity. The landscape consists of hills and high mountain peaks covered in lush Mediterranean vegetation. The many country roads lead to the Gennargentu mountain rage, natural waters or to the local shepherds. In the authentic mountain villages you can discover the real Sardinia; exceptionally hospitable, with a rich tradition, an excellent Sardinian cuisine and tasty Cannonau wines. One of Sardinia’s most important nuragic villages is Su Romanzesu, situated on a granite plateau along the road to Mamone near Bitti in a cork oak forest. The village dates back to the 16th century BC and consists of approximately 100 huts and several buildings used for cultural activities. There are beautiful hiking trails in the Crastazza Littos Tepilora Nature Park, which is home to several animal species typical of Mediterranean brush habitats such as the wild boar, the Sardinian hare, the fox, the wild cat, the deer and the mouflon. We recommend visiting the waterfall S’Illiorai and the natural pools Tepilora. The park is the perfect place for a savoury picnic! We recommend combining a visit to Nuoro, the capital of the eponymous province, with a trip to Orgosolo, a traditional village renowned for its “murales” (murals). Oliena, a mountain village with a beautiful historic city centre, is worth a visit as well. It is renowned for the Su Gologone well, the most important spring in Sardinia which emanates from the base of the big rocks of the Supramonte. Its discharge has been estimated at 300 litres per second. 45 minutes to the south-east of Oliena the nuraghe village Tiscali is another one of Sardinia’s highlights. If you prefer to spend a day at the beach, you can easily drive to Orosei or to the lively Cala Gonone, where boats depart for the famous Bue Marino Caves and the unique bay of Cala Luna. Only accessible by boat or on foot like many other beaches along Sardinia’s east coast, this spectacular bay is a must see! The tour will continue to the beautiful hotel Locanda Sant'Andrea, the accommodation for the last 3 days of the round trip. This hotel with swimming pool is located in the undulating landscape of San Pantaleo in the northern province of Olbia-Tempio. On your way there you will pass the lively seaside resorts Budoni and San Teodoro. We recommend taking a break to visit the Lu Impostu beach and the peninsula of Capo Coda Cavallo to enjoy the view across Tavolara, a small island off the north-east coast. From Olbia it’s less than half an hour to Arzachena, renowned for the archaeological sites. The area of this municipality stretches for over 228 square metres and has a beautiful coastline with many bays and beaches and spectacular rocks. The wind has sculpted the rocks into beautiful shapes, the most famous of which is the “Roccia dell’Orso”, which with a bit of fantasy resembles a bear. 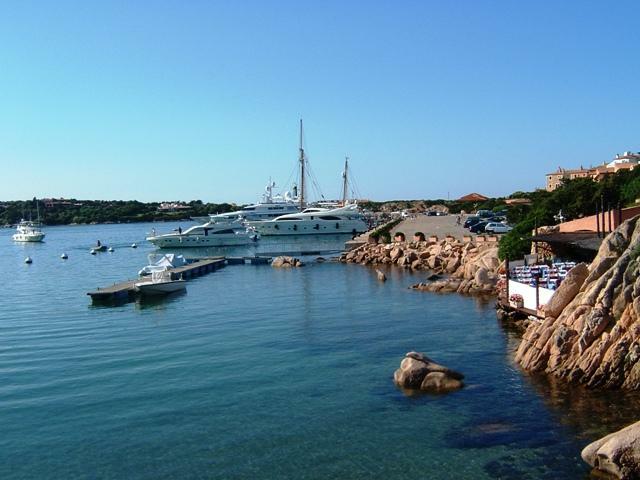 The strategic position of the hotel enables you to visit many nearby villages, such as the worldly Porto Cervo, the heart of the Costa Smeralda. Created by Prince Karim Aga Khan IV in the 60s and 70s, this Sardinian seaside resort is popular among both the national and the international jet set. In summer the elite resides in one of the luxurious resorts, villas or hotels or visits the boutiques near the central square. One of the highlights in north Sardinia is La Maddalena. 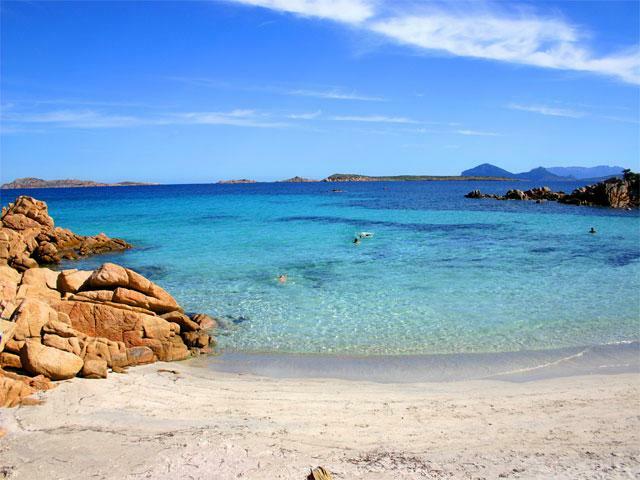 The archipelago consists of more than 60 islands, of which La Maddalena, Caprera, Santo Stefano, Spargi, Budelli, Santa Maria and Razzoli are the biggest. Only the main island La Maddalena is inhabited. Many tourists visit the archipelago by boat to enjoy the beautiful rock formations, nature, sea, bays and beaches. A ferry can bring you from Palau to La Maddalena in a mere 20 minutes and with a bit of luck you can spot dolphins on the way. Should you like to visit the other islands of the archipelago, we recommend booking our boat excursion with the Lady Luna! The beautiful nature resort Villa Barbarina, located at a small distance from Alghero on the north-west coast of Sardinia, consists of a welcoming and modern country house with pool. This lovely agrihotel is definitely worth a visit! The beautiful agriturismo Villa Barbarina, located near Alghero and surrounded by a large lawn and 5 hectares of olive trees, is run by its welcoming host Giovanni. The accommodation features a pool and at a mere 7 kilometres you can find the stunning Riviera del Corallo. Villa Barbarina offers neatly set tables in its restaurant where you can enjoy traditional and special dishes every night. The agriturismo’s reception and restaurant are located in the main building. The spacious rooms are housed in a secondary building. Each room features its own bathroom, lcd-television, air-conditioning and safe. The rooms are elegantly decorated with natural colours and handmade lamps. Villa Barbarina offers rooms suited for two, three or four guests. Suites can be booked on request. These are provided with a living room, 1 or 2 bedrooms and 1 or 2 bathrooms. From your private balcony or terrace you can admire the view across the estate. Su Lithu is an intimate country hotel with pool located in a beautiful villa in the middle of nature in central Sardinia. You’ll be pleasantly surprised by the Sardinian cuisine and traditions here at Su Lithu in Bitti! The beautiful villa Su Lithu is located in the hills just above the village of Bitti in central Sardinia. This intimate hotel was built by its creative owners, the Giovanetti family. 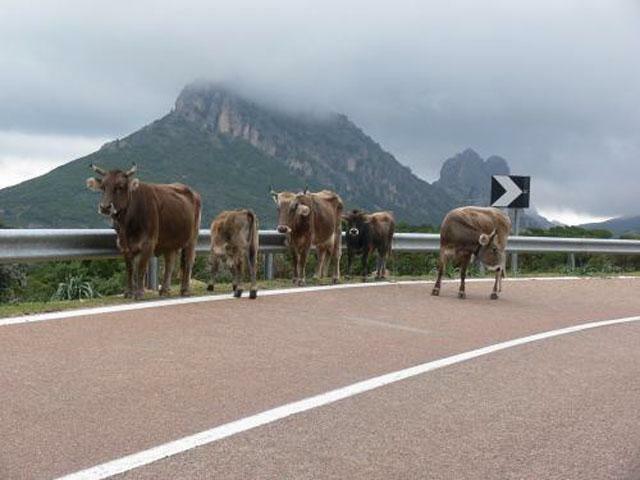 This hospitable family loves to introduce you to the authentic Sardinia. Su Lithu’s chef is ready to indulge you with the area’s delicacies, herbs, vegetables, fruit, olive oil and homemade wines. The hotel’s swimming pool is surrounded by lounge chairs and parasols, next to which you can enjoy an aperitif on the terrace overlooking the mountain range of Monte Albo. You will feel right at home here in the Barbagia! A staircase or elevator next to the reception leads to the 18 comfortable rooms which are all decorated in a typically Sardinian style, overlooking the garden or the hotel’s surroundings. The superior rooms feature a private Jacuzzi. All rooms are provided with air-conditioning. Hotel Su Lithu offers various facilities. Foodies can join the cooking classes organised by the chef. There’s a tour across the hotel’s estate which can be easily combined with a tasting as well; accompanied by the owner you will first visit “Sa Pretta Ruia” where you can pluck your own fruits and afterwards tasty snacks and wines will be waiting for you in the hotel’s beautiful, antique kitchen filled with spicy cheeses and sausages hanging out to dry. Locanda Sant'Andrea is a 3-star relais de charme in San Pantaleo, a picturesque village on Sardinia's north-east coast surrounded by granite cliffs. During your stay in this intimate boutique hotel you can both relax by the pool and enjoy a stroll through the narrow streets of San Pantaleo. A lovely destination! 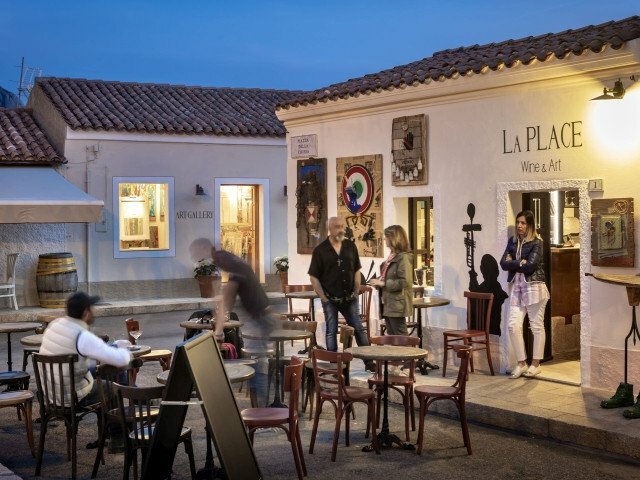 Op een kleine 20 minuten rijden van het vliegveld van Olbia en op slechts 10 minuten van het droomstrand Liscia Bianca is hotel Locanda Sant’Andrea gevestigd. Deze heerlijke kleinschalige accommodatie met zwembad en zonneterras ligt het centrum van San Pantaleo, waar iedere donderdag een lokale markt is. In de nabijheid heb je tal van mogelijkheden om de vakantie actief of juist geheel ontspannen door te brengen. Vlakbij kun je een kijkje nemen bij het reuzengraf Coddu Vecchiu, een bezoek brengen aan de mondaine badplaatsen aan de Costa Smeralda of je kunt avontuurlijk mountainbiken en wandelen door het ongerepte landschap. Ook strandaanbidders kunnen in deze streek van Sardinië hun hart ophalen. Je vindt er naast Liscia Bianca namelijk ook talloze andere prachtige zandstranden en je hebt de mogelijkheid om te snorkelen, duiken en windsurfen of maak je liever een uitstapje naar de welbekende Maddalena eilanden?. Kunstenaar Simona Tavassi is verantwoordelijk voor het interieur van de charmante hotelkamers in Locanda Sant'Andrea. De kamers worden gekenmerkt door rustgevende kleuren, unieke decoraties en schilderijen. De twaalf kamers hebben allemaal airconditioning, televisie, minibar en een eigen badkamer. Meerdere beschikken ook over een balkon of terrasje. We're happy to book you a rental car. The Sunny Car's all-in formula includes all insurances and an unlimited mileage. During the online booking process you can easily add a GPS package as well. The shown prices are an indication of the rental price for the entire tour. Should the current price differ, we will inform you before confirming the booking of your rental car. We're happy to tailor the tour to your preferences! •	Tip: Extend your round trip with one of our unique excursions! The boat trip with the Andrea Jensen offers the possibility to explore the spectacular rugged coastline of north-west Sardinia. Sailing out of the tourist port of Alghero in the morning you will enjoy a unique day trip aboard the wooden sailing boat built in 1939. The boat will take you along the coast towards the national park where it anchors. During this break you can take a refreshing dive in the clear blue waters or explore the underwater world snorkeling! Gaze on your way back at the spectacular sunset which bathes the city of Alghero in a beautiful orange light. • In case of bad weather the organisation will contact you to plan a new date. Should this not be possible you will receive a refund. Visit the most beautiful islands of the stunning La Maddalena archipelago with a day trip with the 22-metre-long ship Lady Luna. 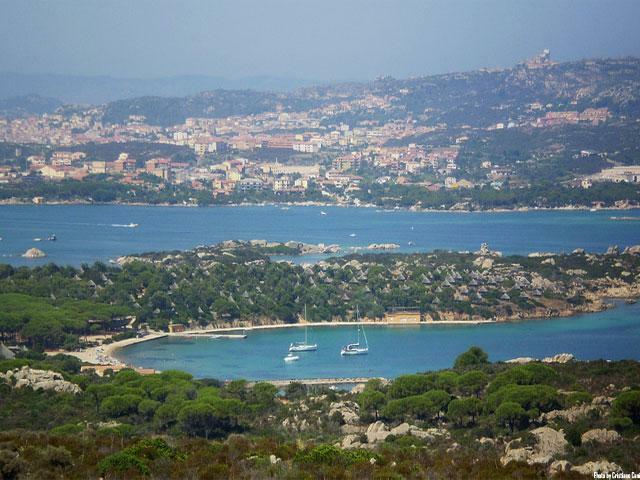 Explore the natural park and swim and lounge on the breath taking beaches of Budelli and La Maddalena. Having embarked on the Lady Luna in the port of Palau you'll sail to the beautiful Budelli Island. Don't forget to bring your camera to take a picture of the pink beach Spiaggia Rosa and the Roccia del Coccodrillo (alligator rock) along the way. You can enjoy a refreshing dive in the natural pool of Piscine Naturali. After this first stopover you can enjoy the pasta lunch (surcharge, on request). The tour continues to the Santa Maria Island and to the island of Sparghi. En route you can dive in the Mediterranean to cool down multiple times. The final stopover will be at the La Maddalena island, where during a visit to the town you can stroll through the picturesque alleys, to various shops and the port of Cala Cavetta. On your way back you can spot the island of Santo Stefano and Caprera. The comfortable Lady Luna has a lounge with tables and chairs, an observation deck, ladder and a bridge to dive off of. The experienced crew and their commander with over 30 years of experience in the marittime sector will make sure you will enjoy a safe, carefree, relaxed and memorable day on board. •	Extras available on board (surcharge): pasta with shrimp sauce (€5), meat and seafood dishes (€10) and drinks. Explore a slice of heaven on earth; the underwater world of Caprera. Part of the La Maddalena archipelago, this island is known for its beautiful waters, rock formations, nature and beaches. In short, the perfect area for an afternoon of snorkelling! A guide will bring you from Poltu Quatu to Caprera by boat for a unique snorkelling experience around the island. A guided bike tour is the perfect way to explore the Catalan town and its surroundings. How about a tour along the city's archaeological highlights or a tour through the vineyards in the country side? Or do you prefer to discover the natural park of Porto Conte by bike? Book the tour which suits you best and enjoy! This tour introduces you to Sardinia's history, leading you from Alghero's city centre to nearby old fishing houses, bastions, churches and broad sandy beaches. You will take a break at the Calik lagune in the Porto Conto park, followed by a visit to the nuraghe of Palmavera. Having explored the archaeological site you can enjoy a refreshing aperitif in the Bike Garden after which you will return to Alghero. Alghero is renowned for its vast vineyards, high-quality wines and numerous wineries which are definitely worth a visit when staying on the Riviera del Corallo. This tour will lead you to one of the oldest and largest wineries in the area and includes a fascinating tour as well as a wine tasting. Wil je graag rotsklimmen op Sardinië? Tijdens deze excursie beklim je samen met een gids de Via Ferrata del Cabirol. Deze locatie in Capo Caccia, vlak bij Alghero, staat bekend als een schitterend klimgebied. Tijdens de spectaculaire klimtocht, die ook geschikt is voor klimmers met minder ervaring, kun je genieten van het adembenemende uitzicht. Na een korte wandeltocht door de ongerepte natuur klim je naar de eerste, nog laaggelegen rots. Halverwege de route, na een uitdagende verticale wand van 25 meter hoog, kom je uit bij een rotsblok op maar liefst 160 meter hoog! Durf jij deze uitdaging aan? Wij hebben de rondreis door het noorden van Sardinië door Sardinia4all uit laten breiden naar 15 dagen. Dit was geen enkel probleem. Op deze manier hebben we op de 3 bestemming iets meer tijd gehad om het een en ander te kunnen ondernemen maar ook te kunnen relaxen aan prachtige stranden. Dit is ons zeer goed bevallen. Well organized trip, fine accommodations, great rental car and seen a lot. Great experience, we will be back for the other side of the island. September is very quiet. And a very comfortable temperature. Bring a sweater for the evening. The Gulf of Orosei is beautiful! Bue Marino caves we found more beautiful than the cave of Neptune in Alghero. Simply take a lot of boats, the coast is unbelievably beautiful ... Rental car: perfect service. My sister had accidentally taken her husband's credit card. We therefore could not leave. Through our mistake. Only 1 phone call to Sunnycars and everything was solved within 5 minutes. So very happy! Nice Fiat, also bringing back went very smoothly. We had a car without navigation. Something to organize? Hotel su lithu prachtig gelegen, goede keuken met grote porties. Onze kamer helaas matig uitzicht. Heel vriendelijk personeel. Villa Barbarina meer meter uit de bewoonde wereld, maar vriendelijk personeel en goede pizzas. Iets minder smaakvol. Parco degli ulivi. Mooiste locatie, vriendelijk personeel maar restaurant wel erg duur qua prijs-kwaliteit. Prachtig, voor herhaling vatbaar!! Het zijn zeer mooie hotels, op mooie locaties gelegen, vriendelijke en behulpzame ontvangst, goede keuken. In Hotel Parco degli Ulivi kregenwe heel veel info over de omgeving. A great trip with many excursion possibilities. Wat kan ik er nog aan toevoegen, Super! We hebben een prima vakantie gehad met z'n tweeën. De accommodaties waren allen keurig en verzorgd. Geweldig mooi. Met name de natuur en de rust (privé strandjes) in deze periode van het jaar. Volgende keer misschien wel met een camper. We zijn echte kampeerders, de ultieme vrijheid, dus dat gaan we zeker nog een keer doen. Sardinië is een zeer mooi eiland met prachtige standen en uitzichten. Ik heb ontzettend genoten van alles wat ik gezien heb! In één woord: GEWELDIG! Tips voor andere reizigers: breng een bezoek aan Cala Gonone, Posada, Costa Smeralda - Porto Cervo, Isola Maddalena (La Maddalena), Castelsardo, Capo Caccia Grotte di Nettuno, alle 'Centro Storico' van grotere steden. Stranden, stranden en nog meer stranden! We hebben een mooie reis gemaakt. De hotels waren goed maar de ligging meestal wat ver weg van een dorpje/stad. Dat hadden wij liever anders gehad of een betere afwisseling. Goede indruk gekregen door de afwisseling van verschillende hotels, prima om om de twee dagen naar een andere locatie te rijden zo zie je veel van het eiland, was voor ons een ideale manier om het eiland te verkennen. In de maand maart/april is er weining toerisme en veel is nog niet open. Maar daar integen is het wel aantrekkelijk qua prijs/kwaliteit/service. De reis was fantastisch. De reis die voor ons was uitgestippeld door de locaties van de hotels was perfect!! Het eiland is veel groter dan wij dachten. In 8 dagen kun je een deel van het eiland wat beter verkennen. De omgeving was mooi en heel afwisselend. De binnenwegen zijn rustig. De hotels langs de route waren heel goed gekozen. Niet te groot, mooie omgeving en de mogelijkheid om er te eten. Binnen een halve dag de boeking geregeld. Geweldig. Bedankt voor de snelle afwikkeling. Ook huurauto voldeed prima voor het doel (Citroen C3). Alles goed geregeld, nette hotels. Alles voldeed aan de verwachting.